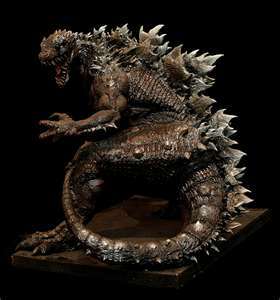 Godzilla figure!. . Wallpaper and background images in the Godzilla club. This Godzilla photo might contain triceratops. thats what godzilla should look like! One of the most awesome godzilla pic ever seen man. Very realistic.